One of the reasons that Weber gas grills work so well is because of a feature called Flavorizer bars. 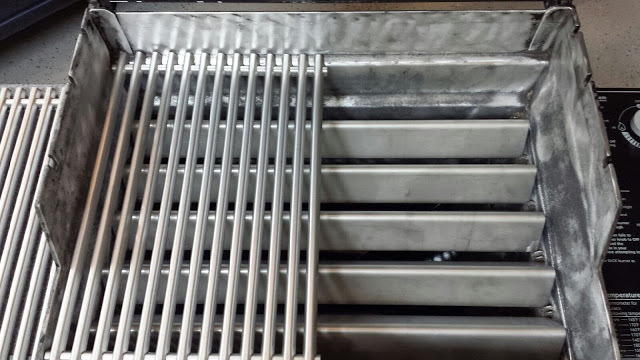 These are the inverted v-shaped pieces of steel that sit below the cooking grates and above the burner tubes. Prevent Flare-ups: Flavorizer bars quickly vaporize some of the grease that drips off the meat and sheds any excess into a drip pan below the bars. Lava rocks or other media allow grease to pool and flare-up. Even Heat Distribution: Flavorizer bars create even heating throughout the firebox. 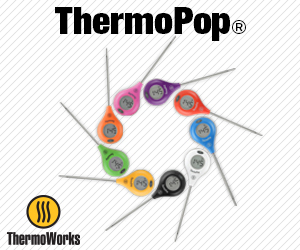 Protect The Burner Tubes: Flavorizer bars prevent debris from clogging the burner tube ports. Flavor & Aroma: The vaporized grease from Flavorizer bars adds to the aroma and flavor of grilled meats. Weber grills use two types of Flavorizer bars. Least expensive are porcelain enameled steel. Most expensive are 18-gauge stainless steel. Stainless steel Flavorizer bars are more expensive and will last longer, but both types will last a very long time. Despite what you might assume, stainless steel Flavorizer bars are not rust-free. The marinades, salts, acids and high temperatures they are exposed to will cause rust to develop over time. To clean the Flavorizer bars, start by burning off the grill at HIGH temperature for 15 minutes. This will turn most accumulated debris into ash. If you have cast iron grill grates, remove them before burning off the grill, otherwise you will burn the seasoning off the grates. After 15 minutes, turn the grill off and let cool. Remove the bars and brush off any debris with a grill brush. A wide putty knife can also be used to scrape tough residue off the bars. Take this opportunity to clean the burner tubes, the inside of the firebox, and the drip pan. Replace all the parts and your grill is ready to go. You may consider changing the order of the Flavorizer bars if you notice some wearing faster than others. Flavorizer bars can be washed in hot, soapy water and scrubbed with SOS steel wool pads, but the burn-off method is easier. Weber says that citrus-based dish soaps should not be used. Weber does not recommend using the dishwasher, oven cleaners, or a self-cleaning oven to clean Flavorizer bars. Flavorizer bars do not need to be replaced until they rust through or burn through. To get the right set of replacement Flavorizer bars, make sure to know your grill’s model name and number. The dimensions of the bars and the number of bars (5, 7, 8, 11 or 13) will vary depending on the model. Weber warrants porcelain enameled Flavorizer bars for 2 years and stainless steel Flavorizer bars for 5 years against rust through or burn through. Both tend to last several years longer than their warranties, depending on how often you grill. You can purchase original replacement Flavorizer bars at Amazon.com or other online retailers. 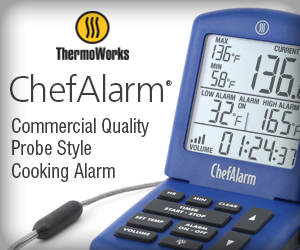 They can also be purchased by calling Weber Customer Service at 800-446-1071. There are also aftermarket sellers of replacement Flavorizer bars using heavier 16-gauge stainless steel available at Amazon.com.